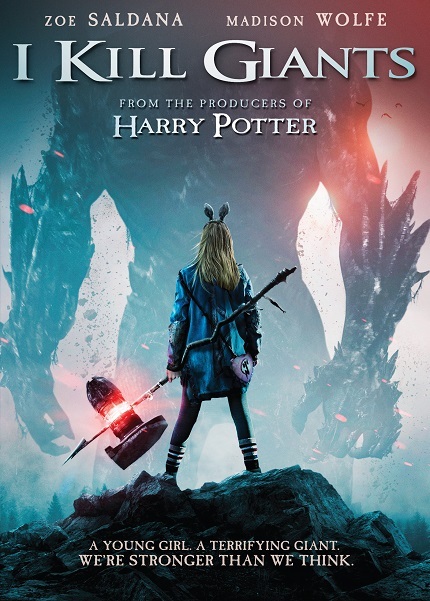 RLJE Films released Anders Walter's adaptation of Joe Kelly and Ken Niimura's graphic novel I Kill Giants on DVD and Bluray back on May 22nd. We are super late on this giveaway but we have three (3) copies on the film on DVD to hand out to our readers. The contest is open to U.S. residents only. To enter you only have to answer our trivia question below. Email us here with the correct answer and you will be entered into the random draw. Who published the I Kill Giants comic series? The giveaway close on Monday, June 11th at midnight PST. Three (3) winners will be chosen randomly from all qualifying entrants and informed by email on Tuesday, June 12th. Good luck to all who enter.